While some car accidents are little more than a fender bender or rear end collision, others can be quite serious and result in the death of one or more individuals inside the vehicle. There are many similarities between deadly car accidents; what makes a car accident fatal can be surprising. 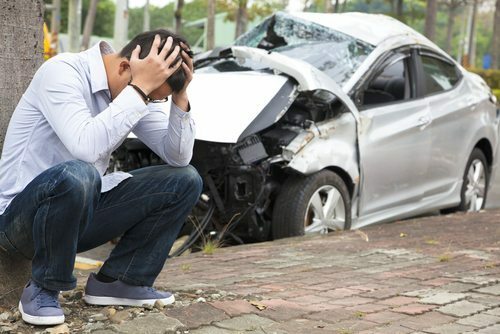 Here’s what you need to know about fatal car accidents, how you can reduce your risk, and what to do if you’ve lost a loved one in an accident. Poor weather conditions play a significant role in deadly crashes. Heavy rain make roadways slick and increase the risk of hydroplaning, as well as reduce a driver’s visibility. Ice and snow can cause a driver to lose control of their vehicle quickly, causing a fatal crash. Avoid driving during bad weather when possible. Accidents caused by a drunk driver tend to have a higher chance of fatalities than accidents that do not. In many cases, more than one passenger in the victim’s car is killed as a result of the DUI collision. Avoid driving after drinking, and never get in a car with someone who is driving after they have been drinking. The force behind a crash increases exponentially the faster the cars are going. When there is more force behind a crash, the chances are higher that the collision will become fatal. Victims may be thrown from the vehicle, or the vehicle may flip or roll over when knocked off course while speeding. Always follow the posted speed limit, and in situations where you are driving in bad weather conditions or on poorly constructed roads, adjust your speed accordingly. Even when taking precautions, accidents can still happen. Losing a loved one unexpectedly in a car crash is devastating, and the days and weeks to come may seem like a blur. At Appalachian Injury Law, our car accident lawyers know how challenging this time is for you, and we’re committed to advocating for you and supporting you in every way we can. Although money will never fill the special place your loved one had in your heart, it can ease the financial burden of their passing by covering expenses related to the accident. Contact us today for a consultation to learn more about obtaining compensation for a fatal car accident by calling (706) 515-1995.